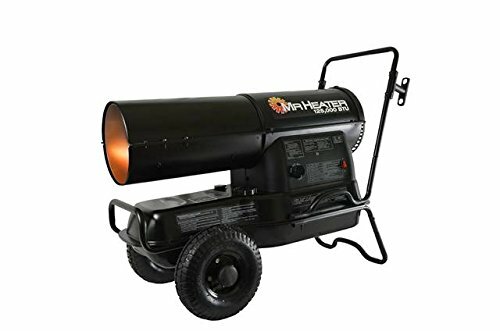 How do Forced Air Kerosene Heaters Work? If you’re looking for a kerosene forced air heater, this guide is a handy look into what you need to consider and which brands have good products on offer. It is important to understand your own needs before selecting a kerosene heater. Consider your family’s daily life and the use you will be getting from it. From understanding the capacity of the heater, you need to know which safety features are available. Read the following rundown for advice on where to look. Kerosene heaters contain circular wicks, generally constructed from fiberglass or cotton. Below there is a tank, which the user fills with kerosene. The wick is attached to the burner unit, which is then mounted on top of the kerosene-filled tank. The wick absorbs the fuel up through the material. This wick is lit, and the kerosene is sucked into the combustion tank and turns to gas. This combustion heats the surrounding air or objects, depending on the type of heater. Convection heaters will heat the air, while radiation heaters warm surrounding objects. To increase heat, the wick is pushed upward to create more exposed fuel. This increases the flame, in turn producing more heat. To turn the heater off, the wick is pulled back into the burner unit, which snuffs it out. In some of the more modern models, a fan is incorporated. As they use the latest technological advancements. This fan is usually powered by electricity and helps to push the warmed air outward. Equally, thermostats and electric ignition mechanisms have also made our life easier. By increasing accuracy and performance consistency. Due to the fuel used, kerosene heaters tend to have a distinctive odor, especially when lighting. This is because some of the kerosene is not being burned well. 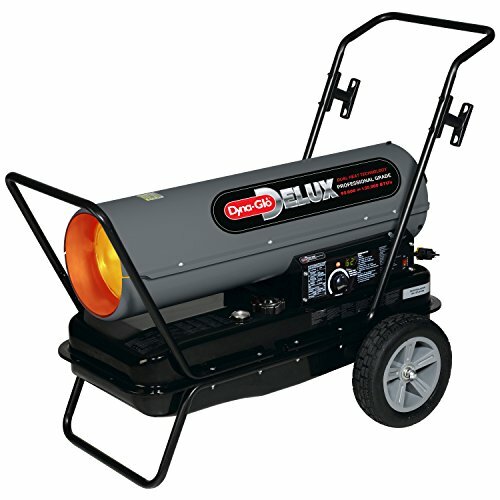 Lighting a heater outside is often easier, to blow away the odor, while also allowing more oxygen to burn all the fuel. There are two main types of kerosene heaters. The simple distinguishing factor between the two is that convective kerosene heaters warm the air in the room. While radiant kerosene heaters increase the temperature of the objects in the room. Convective heaters are aesthetically different from their radiant counterparts. They tend to be round with a tank for the fuel that is located directly below it. The wick sits above with the combustion chamber. Convective heaters work by sucking in cold air, usually at the bottom. This cold air is heated and is then pushed out of the device. The hot air rises, which pushes the cold air downward and into the heater. This circulates the air around the room to create an even temperature. They tend to be extremely efficient and work best in larger spaces. They can often be suitable for heating a whole house.The other type of kerosene heater is a radiant heater. These models are more often found to be rectangular. Also featuring the wick and combustion chamber, radiant heaters can be differentiated by their reflector. This reflector is designed to direct heat toward people and objects in the room. More suitable for smaller spaces, some models include a fan to blow this heat around, adding convection heat. This allows them to be used more comfortably in larger spaces. Differently to convective heaters, some radiant models do not include a fuel tank. While most do, the ones without requiring an external, removable fuel tank to be attached. If you’re in the market for a kerosene heater, you may be considering the right kerosene forced air heater for you. In this sense, taking these few things into consideration will help you make the right purchase for you. Consider the type of heater that you would like to have. Available the most of times as either radiant or convective heaters, you will be looking for a convective heater if you want the kerosene forced air heater. Alternatively, modern radiant versions are often fitted with a fan option. This enables you to enjoy both forms of heat, often mimicking convective devices. Remember that radiant models tend to be square while convective versions are most often round. This aesthetic may be an important factor in your home. It is imperative that you consider safety when you use a kerosene heater as the fuel is highly flammable. If you have small children or pets, this is something to especially take into account. Some people may think a kerosene heater can't provide the necessary safety in these scenarios. But new devices are usually fitted with safety mechanisms. When considering a purchase, you need to look for these. Tip-over and overheat protection are the most important. Tip-over protection will either sound an alarm or cut off the fuel (and therefore flame) if the heater tips over. Overheat protection will do either of these two things. In case the heater’s temperature surpasses the safe level of use. Equally, look for a model which includes carbon monoxide sensors. While the odor from the kerosene may be quite strong, carbon monoxide is an odorless noxious gas that can be created from the incomplete combustion of kerosene. Carbon monoxide sensors will alert you to the presence of CO, and/or switch off the fuel. The odor of kerosene can also be disrupting and should not be inhaled, especially by children. Igniting you kerosene heater outside may help, but also look for reviews on how easy each heater is to light. This will help decrease the smell, as will proper ventilation in your house. You need to think about the size of the space you intend to heat. If you are trying to heat a large space with a small burner, you’ll find that the heater uses a lot of energy and the room doesn’t tend to warm up enough. Equally, a large heater in a room too small will create too much heat, proving to be inefficient. Consider the power of the heater. Most kerosene heaters indicate the size space that they can heat. While you may think you want to keep your heater in one place, portability can be very important. This most often comes to pass when the heater needs refueling. When the tank is full, is it easy to carry due to a handle or can it be wheeled along? Is the tank far too heavy for you to carry? Can the heater be moved while it is lit? The price is a tricky one to think about. You must have all the other factors correct to understand if you are recovering value for money. Budget options may not have the capacity you need, meaning you end up spending more money more frequently on fuel. Conversely, very expensive heaters may include features that you do not need and may be more powerful than you want. This leaves you spending far more upfront than necessary. Remove that eco features and environmentally-friendly components will use less energy. This leads to cost savings on your bills. Make sure you take this into account when considering the upfront cost. Firstly, think about fuelling the tank. When you choose a model, ensure you look for devices that are simple to refuel yourself and aren’t too heavy to maneuver. Newer models tend to boast thermostats to help with more comfortable settings. Some also have timers and fans to blow the air more evenly around the room. All these added features help to improve your experience. Although, they can add to the cost and increase fuel usage, sometimes needing electricity too. Below are some of the best kerosene forced air heaters on the market today. Take a look at the reviews to see whether they have the right features for what you’re looking for. This model has 75,000 BTU of heating power and comes with high-output, fully enclosed motors. With user-friendly controls, the heater has high-limit safety switches. And shut-off mechanisms for unsafe conditions. This model is extremely durable, made from high-quality steel. The heater can operate for 11 hours on a full tank of fuel. Its fixed heat output is very high, making it suitable to heat large spaces quickly. This device comes equipped with a thermostat for more precise heating control. There is overheat shut-off to protect from dangerous temperatures. There is no tip-over protection or carbon monoxide sensory mechanism. It struggles to light in the cold, even using the cold weather lighting methods given in the instructions. It has quite a strong kerosene odor. This model is great for heating large spaces immediately but tends to have quite a strong smell. While it protects itself from overheating, it doesn’t shut off when tipped. It is easy to carry around due to its lightweight, and it is a very durable heater. With a 175,000 BTU of power behind it, this heater can warm spaces of up to 4,375 square feet. Ideal for large-scale use, it has a 13.4-gallon fuel tank and can run for up to 10 hours. It has a thermostat for better programming, and the handles and wheels help portability. This heater comes with wheels for easy portability, as well as handles that fold down when not in use. The no-flame technology, combined with the overheat safety sensors, make this a far safer option for those with children and pets. 175,000 BTU is a lot of power and can heat rooms quickly. There is a high-output fan which enables a more even spread of heat around the room. Customers have complained that the ignitions are not particularly durable. This model tends to get quite sooty. 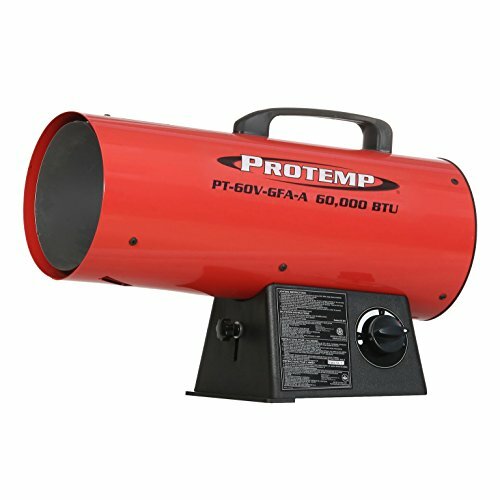 This heater is great for large spaces and works with a lot of power. It can burn for 10 hours without refueling and can easily be moved from place to place. While the safety features are great, the ignition tends to be a little temperamental. Producing 45,000 BTUs of heat, this model is designed to warm 1,100 square feet. With its 5-gallon fuel tank, it can heat for 14 hours on a fuel tank of gas. It features a high-powered blower, fuel and overheat shut-off and electric ignition. This model will shut-off if it overheats or if the flame goes out. This model is quite efficient for its size, lasting for a lot of hour for such a small model. The carry handle and its lightweight make it quite easy to move about. The motor is enclosed with aluminum to preserve its durability. There are no safety mechanisms to alert the user if it tips over, making it an issue for those with kids. You need to make sure you read the warranty as the company is restrictive with returns in the case of damage. This is an excellent medium-sized efficient heater. It doesn’t have wheels, but it is quite light and has a carry handle. The safety mechanisms are appropriate to ensure carbon monoxide production and overheating don’t occur, yet there is nothing to monitor it tipping over. With a 60,000 BTU heat output, this model claims to heat up to 1500 square feet. Using a 20-pound propane tank, this device can operate for up to 11 hours and has a range of heat settings. The variable heat settings make it easy to find a comfortable temperature. It works extremely quickly, giving heat to a room almost immediately. All fixture are included for adding a 20-pound tank, and it is easy to install and change. They are very durable, making them an excellent choice for contractors of those who move them about frequently and roughly. It has a removable tank, so you need to make sure you purchase fuel separately. There are no added safety features to protect against overheating or tipping over. 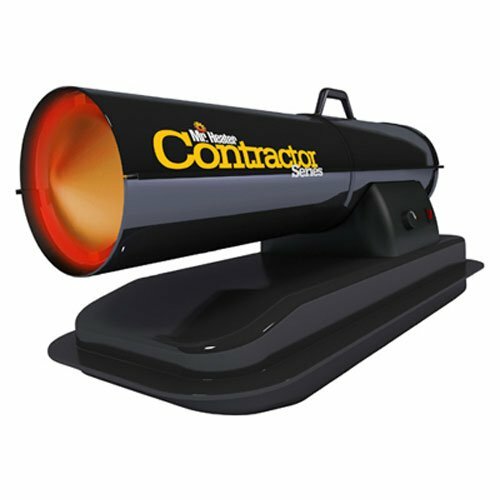 This heater is a durable model, designed to be used in medium-sized workspaces. It has a removable tank and is fairly basic on added features, but, it works quickly and efficiently. Engineered with portability in mind, this heater comes with wheels and a carry handle. It has a whopping 135,000 BTU, blowing out enough heat to warm 3,200 square feet. It has an electric ignition and thermostat for easier use, and the aluminum-encased motor is designed for durability. This model incorporates patented Dual Heat Technology. It enables the user to switch between two settings for more or less heat. The wheels enable easy portability, while the ergonomic handles are designed to make carrying it far easier. The Comfort Control Thermostat is always on to ensure an even temperature while in use. The components used, the construction grade steel drain plug and the aluminum casing, increase its longevity. This device will shut-off if there is either a flame-out or overheating scenario. There is a strong smell of kerosene and the fuel sometimes leaks. There is no filter or strainer of the fuel inlet, so debris sometimes enters the fuel tank. The AC cord for the fan is very short. 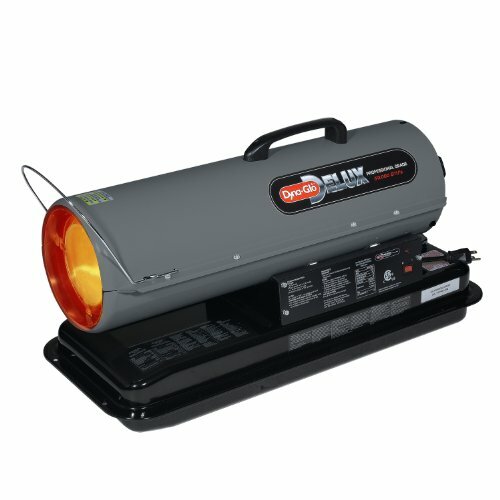 Placed near a socket or with an extension cord, this model is a powerful heater that has easy controls and can be moved without much trouble. It has a slight odor that comes from it, but it is durable and includes safety features to increase its lifespan. Including no-flame technology and overheat sensors, this model is safe and efficacious. The 125,000 BTU heat output can warm up to 3,125 square feet, while the 8.5-gallon tank can last for up to 15 hours. No-flame technology and overheat sensors are a good addition, especially for those considering the safety of kids or pets. The adjustable thermostat makes it easy to control and allows for more flexibility. There is a high-power fan to push the heat around evenly. The wheels make it easy to transport. The customer service is not very good when customers have had issues. Some of the parts inside aren’t as durable as other models. 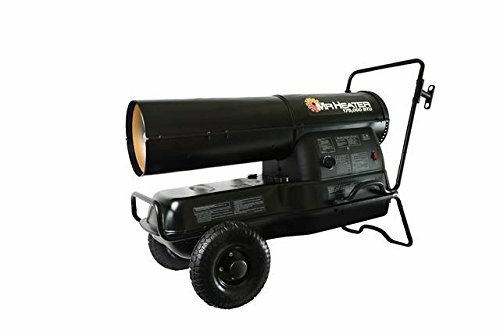 A good heater for a medium to large space, the high-powered fan pushes hot air around evenly, while the wheels make for easy movement. While not always so durable, it can be easily fixed. Kerosene forced air heaters are a great idea for people looking to heat large spaces quickly. They have a great deal of power behind them and are quite efficient. Look for models that are more easily portable, such as devices that include comfortable carry handles or wheels. Even if you intend to keep it inside, sometimes moving it outside to light it can help to prevent the familiar fuel odor. Equally, remember to measure you space first to find a heater that fits your needs.